Offering cost-efficient driving in winter conditions, the Frigo has been designed to handle water, snow and slush. The innovative thread pattern ensures a rapid evacuation of fluid, helping to minimise the risk of aquaplaning. 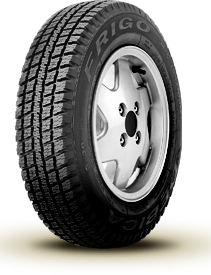 The Frigo is also constructed with a specific silica based compound which guarantees tyre flexibility even at low temperatures.